An 18 year old Cromwell woman was shot and killed late Tuesday night on Broad Street in Hartford. Natashalie Hoy’s heartbroken family is searching for answers, while police try and figure out if this is suicide, accidental or a homicide. Investigators are calling the teen’s death untimely. Police have not arrested anyone in connection with Hoy’s death. Investigators have charged Hoy's friend, 21-year-old Torrick Maragh, with two counts of possession of a sawed off shot gun. According to arrest papers, Maragh told detectives after the he and Hoy had an argument, Hoy shot herself with the shotgun. 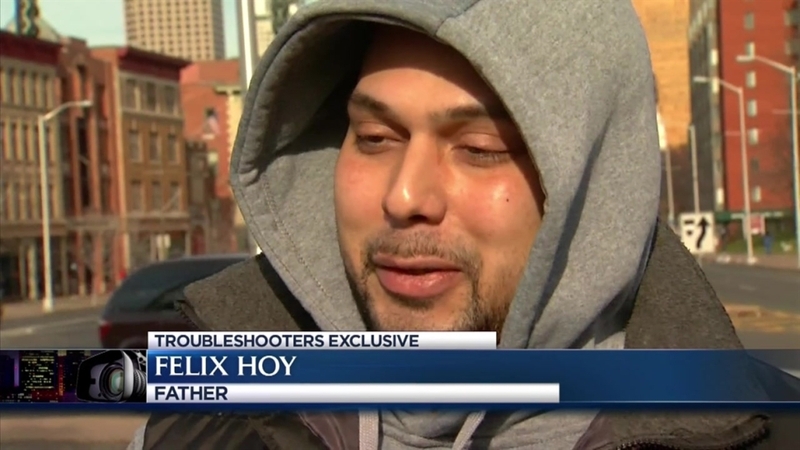 The teenager’s family tells NBC Connecticut that can't be possible. Hartford police rushed to the basement of 1688 Broad Street late Tuesday night after a frantic 911 call. 911 caller: "If you're going to save her, you got to get here quick." Arriving officers found Hoy lying on the ground bleeding from the throat. According to the Medical Examiner, the teen died from a bullet to the neck, but it's unclear whether Hoy was the one to pull the trigger. Maragh told the first officer on scene that Hoy, "shot herself." According to the arrest warrant, Maragh said the two were initially fighting over a shotgun shell and Hoy had a knife in her hand. Maragh said he was able to confiscate the knife from Hoy before she ran out of the room. When she came back, Hoy straddled Maragh who was sitting on a bed and she had the shotgun pointed at her neck when it went off. "She didn't kill herself. My daughter is beautiful. Beautiful daughter, she’s gone my baby girl is gone," Felix Hoy, Natashalie’s father, said. Felix Hoy spent Thursday planning his first born's funeral at Deleon on Main Street in the Capitol City. Hoy told NBC Connecticut, “I think I should have done more." Hoy said he saw his daughter hours before the shooting. He delivered medicine and other items to her on Broad Street because she said she wasn't feeling well told her father she had paid a visit to Maragh earlier. But he said, Shalie wouldn't let him inside. Hoy added, “Anyone that shoots themself in the head pops it in the mouth. Not going to shoot herself in the neck. Sounds kind of sketchy. I know my daughter. She was too happy." Maragh was in Hartford superior court Thursday and was charged with gun possession. According to arrest papers, he owns the gun that took Hoy's life and admitted he hid a second gun in the ceiling before police got to the scene. Now Hoy's family is left searching for answers and holding onto memories of the teen they said was a senior at Prince Tech and wanted to work on cars. “I treated her like my daughter and I'm always going to love her like my daughter, very beautiful person," Jacqueline Hoy, Natashalie’s step mother, told NBC Connecticut. Lizzmarie Hoy, Natashalie's younger sister, said, “Whenever I needed her, whenever I had trouble, I knew where to go. She was just a phone call away when I needed her to help me through my problems." In court the Judge stated based on circumstances that bond would be set at $800,000. A GoFundMe account has been established to help the family with funeral arrangements.